In our previous article, we have already discussed on Online Content Writing jobs, their advantages, expected income, eligibility, etc. In this post we shall list down the various companies and websites where a writer can apply for these online content writing jobs. Every company has a set of rules and procedure to apply for their vacancies, which an applicant needs to follow to become a content-writer for them. Company allowed The following contains a list of the companies/blogs which are in need of Online Content writers. With Global Alexa Rank around 3500, Problogger.net is one of the most useful resources on Blogging today. It contains tips and tricks on blogging and ‘how to make money from blogging’. Problogger generates huge traffic and readers each day. Problogger also has a separate JOB section, where latest jobs and vacancies for bloggers and content writers are listed. This job list is updated frequently and must be checked if you are in search of online content writing jobs. Some of the content writing jobs listed here requires expert knowledge on specific subjects like Maternity, Travelling, Finance, Fishing, Healthcare, etc. To apply for the content-writing vacancies listed on Problogger, candidates have to click on individual job posts and have to send an Email with required information to the company concerned. HubPages is a very popular platform among content-writers and is one of the top online content writing companies. It has a Global Alexa Rank of around 600 and this shows the huge traffic generated by HubPages. To work as a content-writer under HubPages, a candidate has to first Sign-up and create a Hub of his own. Your Hub is like a mini-blog which is managed by you. You can post contents of a particular niche in your Hub. A content-writer on HubPages is known as a Hubber. You can earn income from your Hub by monetizing your content with various monetization partners of HubPages. A hubber can also generate income by monetizing his hub with Google Adsense, Amazon Affiliate Account, E-bay monetization programs, etc. Wordplay Content is hiring freelance content writers to work from home in online content writing jobs. The content writers may be assigned to write on an array of fields such as Health, Education, Entertainment, Law, Entrepreneurship, Travel, Accounting, Product Reviews, etc. Requirements: Work from home writers who are comfortable with internet research, good with words and English grammar. This is a work from home opportunity open to anyone with a quick and reliable internet connection and passion for writing. How to Apply: Send an email to [email protected] with a brief write-up about yourself and your contact details. Founded in 2013, TechNorms is a technology blog that specializes in personal tech guides, how-to’s and tips about a broad range of tech-related topics. Compensation for content-writers is awarded per article and distributed monthly. Requirements: i). Tech-savvy bloggers, primarily from Asia, who love computers, internet, web apps, software, gadgets, programming, mobile, or anything related to computing and technology. Specialization in or a passion for Mac, Android, iOS would be favorable. ii). Applicants must have strong English language skills and be able to explain difficult a concept in simple words and sentences. Having a personal interest in technology and earlier experience in writing in the technology niche is a definite plus. iii). Applicants will be expected to create and research articles independently. Should be able to meet publication deadline. Minimum contribution of 3-4 articles per week. Experience with WordPress and knowledge about SEO is preferred but not mandatory. How to Apply: Visit this link: (http://www.technorms.com/writer-application) to apply for this position. TrustedPros is site dedicated to helping consumers find trusted and reliable service professionals and information for their home improvement projects. Requirements: i). Must have some knowledge and passion for home improvement topics. Write about rules, regulations and trends targeted to both US and Canadian homeowners. ii). Construct clear, compelling content that educates and engages readers interested in home improvements. Must be able to deliver content that effectively solves problems for the readers. iii). Can perform exceptional research work. Have an established presence on social networks. Must be able to stick to tasks and deliver on time with an understanding of writing for the web. iv). Must be a native English speaker with excellent writing skills. Must reside in the US or Canada and be comfortable working independently from home. The required length of the articles is between 900-2000 words. Payment is transferred monthly based on total word count. This is a global employment company based in the UK – has freelance positions available for talented bloggers to join their writing team. Article topics for CareerAddict must fall under the available subject areas on the blog (Career, Graduates, At Work, Tech, Celebrity, Lifestyle, and Success) and must be career related and relevant to the global audience. Each article accepted by CareerAddict for publication will earn US$ 20. Authors can earn a further $20 through promotion of their articles as 10,000 views = $20. Requirements: i). 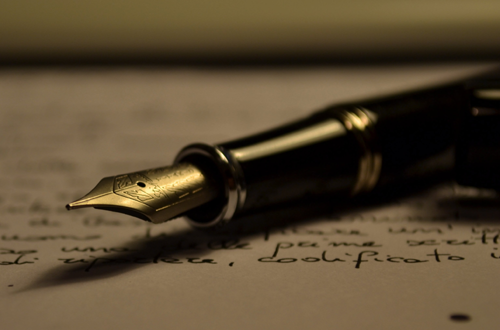 Passion for writing creative and engaging copy. Ability to work well under pressure and on own initiative. Ability to meet deadlines while meeting high quality standards. iii). Degree in a relevant subject (English, Journalism, Business, Human Resources, Marketing etc.) is preferred but not essential. WPCurve is a 24/7 WordPress support business creating useful, actionable and entertaining content for entrepreneurs, small business owners and content marketers. How to Apply: Send your a). Top 3 writing samples, b). Expected rate for writing a detailed, 3000 word guide, c). One idea on how to improve the existing guides on WPCurve to [email protected] for review. This site has a network of blogs. Sign up for goodblogs.com and select a topic among their wide variety of topics. Articles submitted will be voted through likes and followers in social media. Every day, on each site, the posts with the most votes get featured in Top Posts. The talented blogger gets paid immediately. BlogJob is a good website for online content writing jobs. You can visit: http://blogjob.com/jobs/ and apply for any of the jobs listed there. Each company and job profile has different role and eligibility criteria. Content-writers may shortlist some companies to apply for their vacancies according to their preference and need. This is another content-marketing company which hires content-writers and sells their articles to 3rd parties. To become a content writer for Triplecurve, visit: http://triplecurve.com/writer-application/ and submit your details along with resume and 2 Writing Samples. On getting shortlisted you would be informed by Email and then the work can be started by following further instructions. These are a few content-marketing companies which hire online content writers and pay them for their articles. There are a lot more such companies and sites, which pays for Online Content writing jobs. Keeping visiting this list frequently, as it is regularly updated with new Online Content Writing Jobs. We have been looking for the Blogs and Website with a good Page rank and SEO. Good to see the way your Webpage is made and is worth stopping by. Mykites is a Socio-Blogging platform that gives an opportunity to write the thoughts and get paid as well. We are the fastest growing writing site that pays. We are partners with many globally recognized Brands and the number is increasing rapidly. We would like to invite you to be a part and have a look at our hard work that we have put to make Mykites a global brand in a very short time. It would be a good gesture if you could write a review about Mykites on your website. People are searching reviews about Mykites all over the Internet and it would ultimately take them to your website. In case you are interested we would like to promote your website to reach our thousands of daily active users. We are genuine and Payment proof is also available on the Internet.This would be a good opportunity for both the website to flourish and grow. Please feel free to contact us at [email protected] for further queries and concerns. Positively looking forward to long lasting business relations which would benefit both the Brands. Dear sriram i request please change kumar to kumar.spell mistakr. Great resource. I would also include Godot – https://www.godotmedia.com/ to this list. It is a fully managed service with an experienced team of in-house writers capable of working on articles, blogs, copy, eBooks and everything in between. Thanks for the list. You have just listed the content sites that I was searching. Really useful.